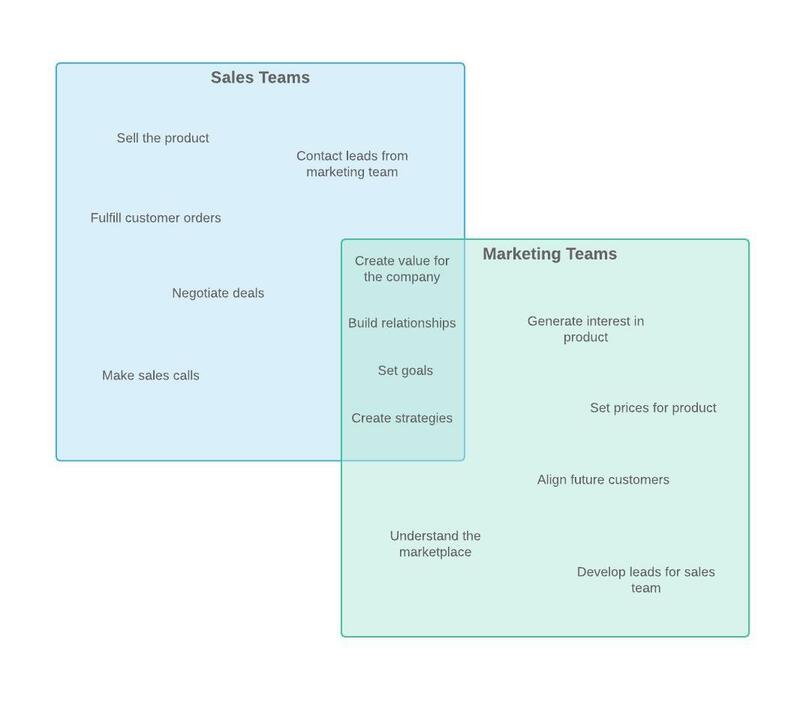 With just a few clicks, you can transform your blank canvas into a thoughtful Venn diagram in Lucidchart. Our templates library helps you make a Venn diagram online from any device, even when you’re on the go. Whether you want to quickly compare products and services or find correlations among multiple data sets to make informed decisions, simply select a template that’s tailored to your needs to get started. The drag-and-drop functionality in Lucidchart is easy and intuitive. All you have to do is select a transparent circle from the Venn diagram shape library, which gives you the ability to overlap your shapes. Share your ideas and findings with a flair—you can tweak colors, gradient levels, text font and size, and border thickness. 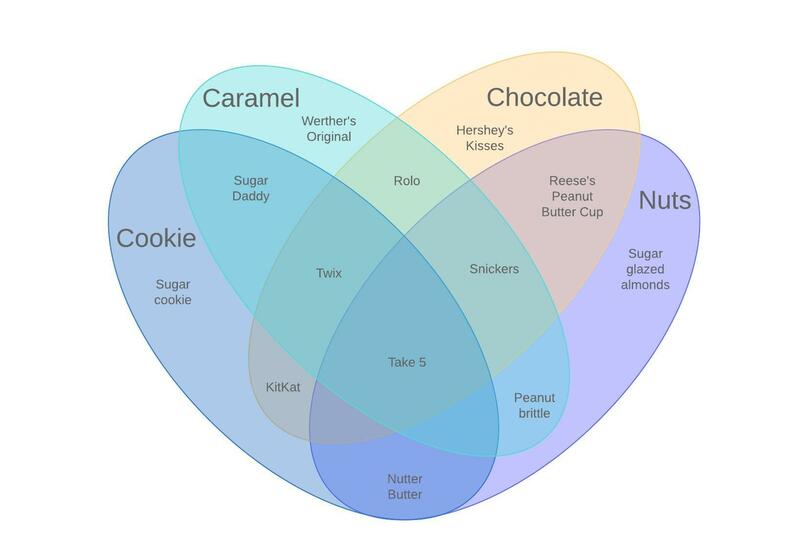 Venn diagrams are a staple in every classroom and textbook for good reason. Visual cues help learners better remember and retrieve information. These powerful graphic organizers give students the chance to quickly sort information into groups and identify the similarities and differences. 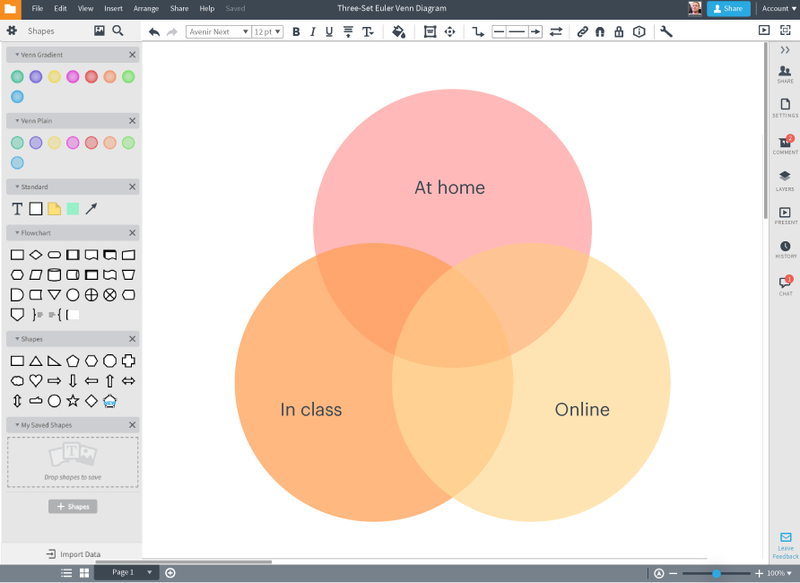 The Lucidchart Venn diagram generator allows students and teachers to combine text and shapes to facilitate deep understanding in both simple and complex learning environments. 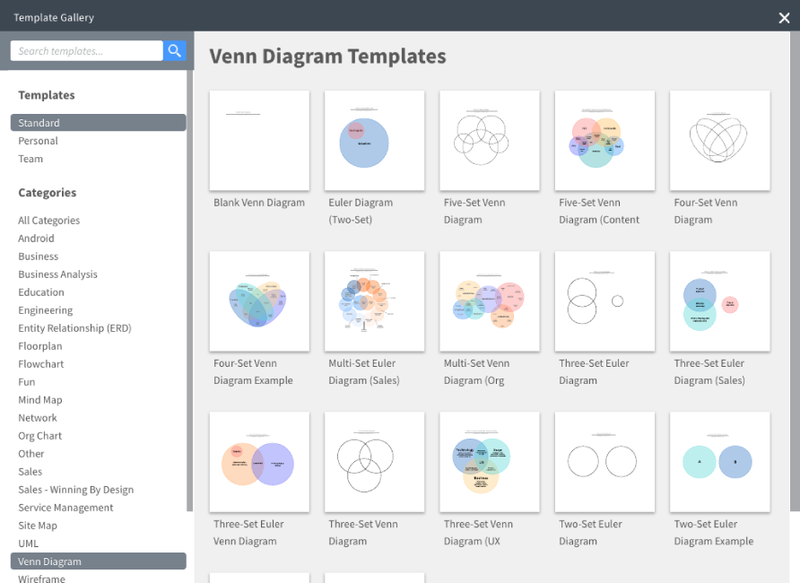 Publish and share your Venn diagrams online with anyone, from anywhere, at any time. 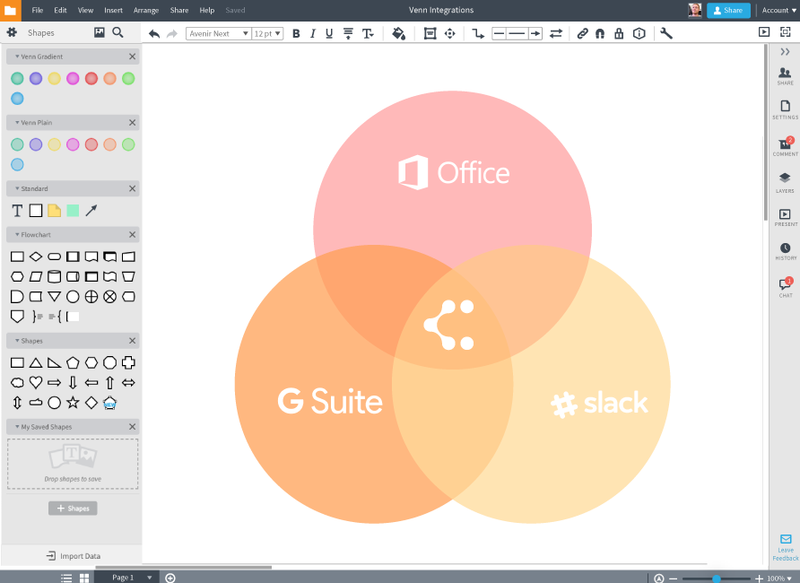 Lucidchart runs on all major operating systems, including Windows, Mac, and Linux. Communicate your ideas to others—even to those without Lucidchart accounts—using our powerful integrations with leading applications such as G Suite, Microsoft Office, Confluence, Jira, and Slack. Simply export your diagram or create a shareable URL to start collaborating and spreading ideas worth sharing. 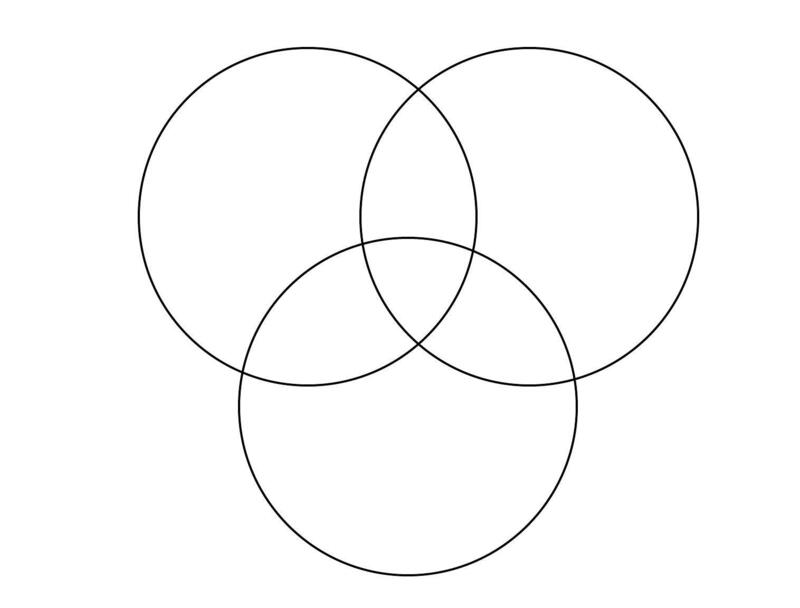 Drag your circles—or sets—from the Venn diagram shape library to compare. 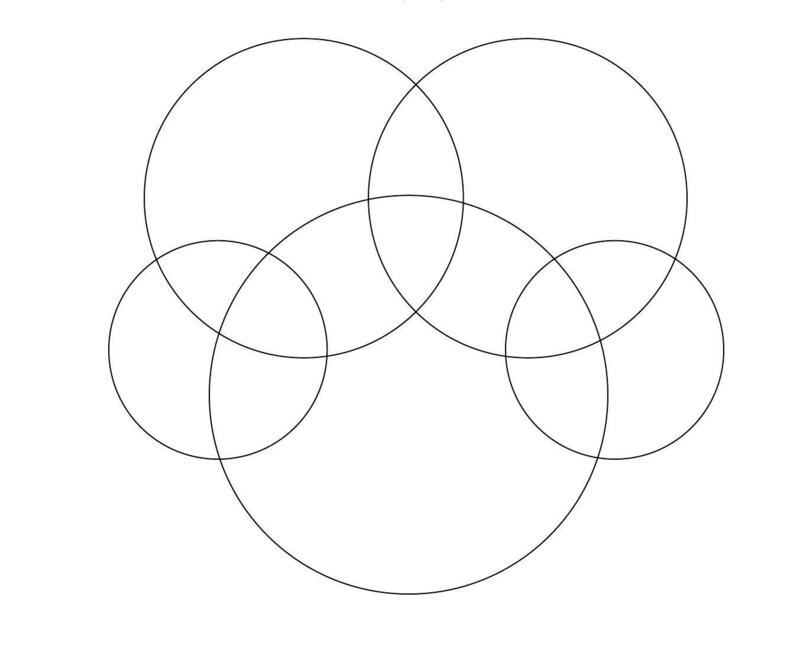 You can duplicate or resize these shapes to be bigger, smaller, or even ovals. Label both of the individual sets. To add text, just drag a text box on top of your shapes, and bold or underline your label to differentiate them from your notes. Compare and contrast each of the main ideas by noting as many relevant differences as possible. Enter similarities that are shared between each intersection. Format your information into bullets and lists by clicking on the Text Options icon. Share your Venn diagram online with a shareable link, via email, Slack, or social media, or embed your diagram in a wiki. 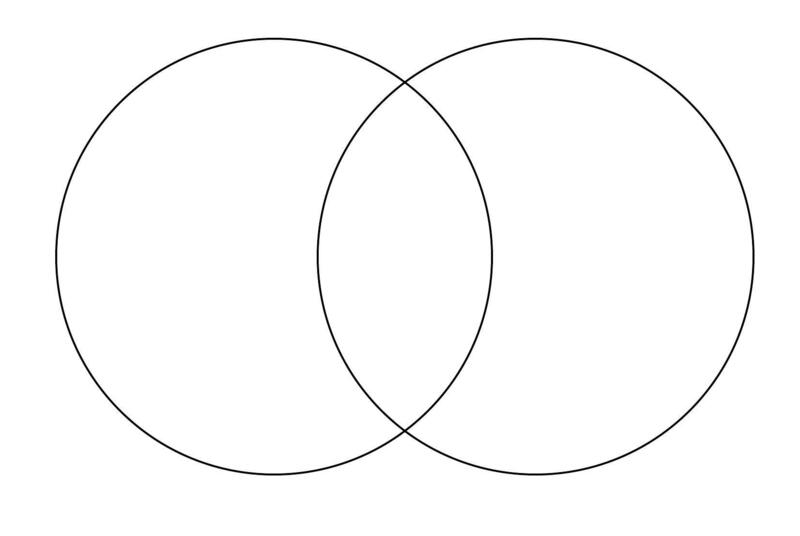 How do I create a multi-set Venn diagram? 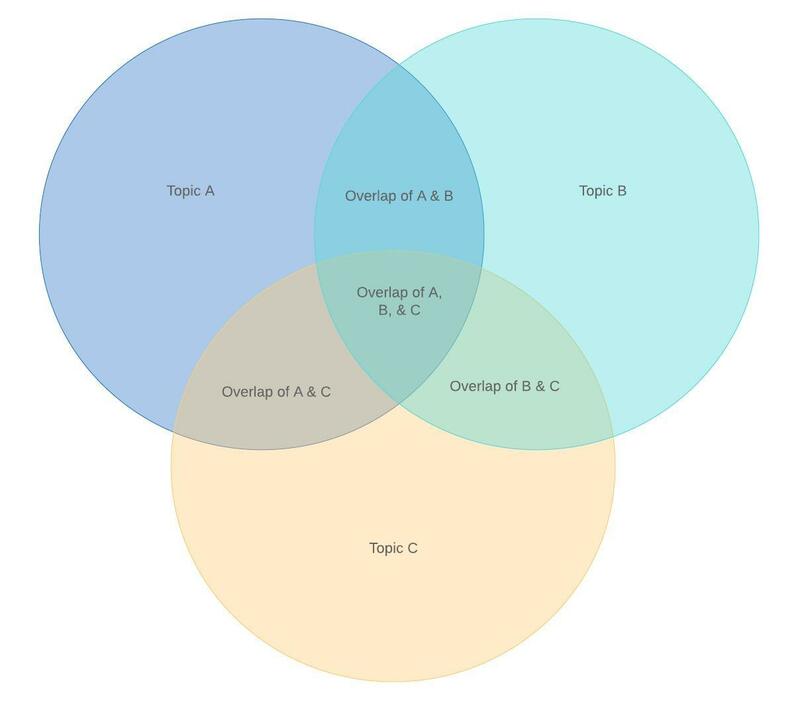 You can use one of the many Venn diagram templates found below or in the Lucidchart template picker to create 3 circle or multi-set Venn diagrams. How do I change the colors of my Venn diagram? 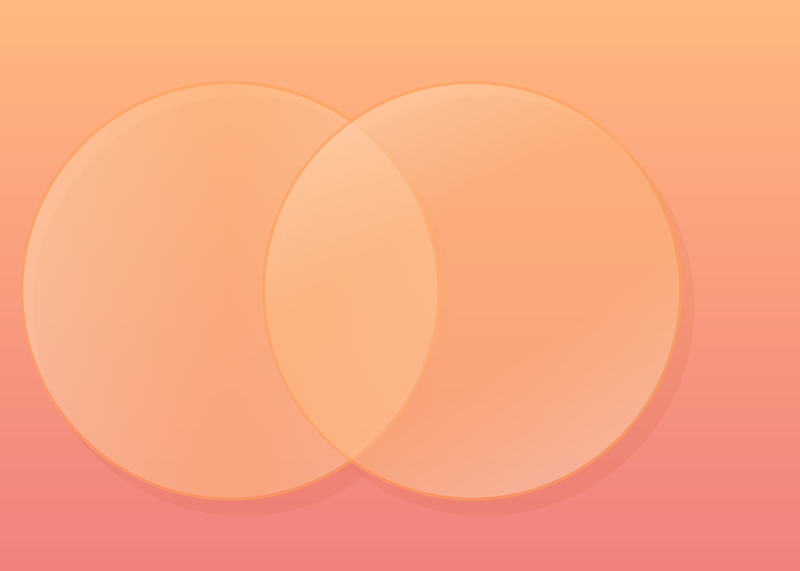 You can easily adjust the colors of your Venn diagram by using the fill color selector. 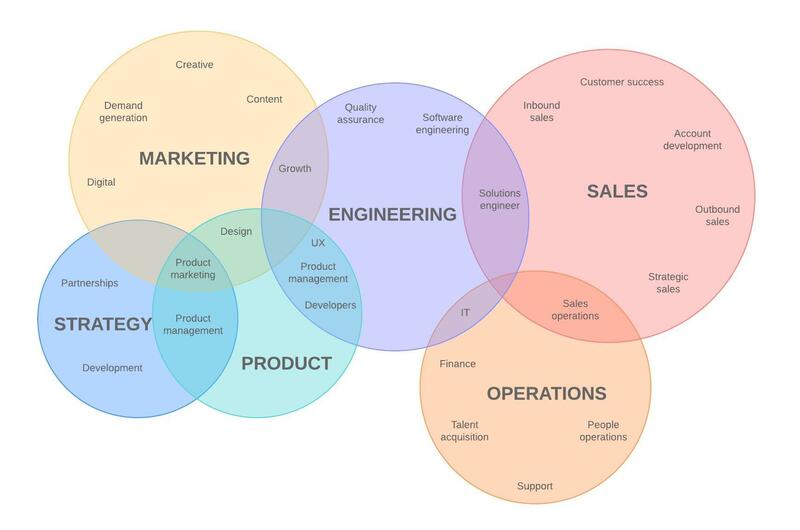 How do I add text to my Venn diagram? 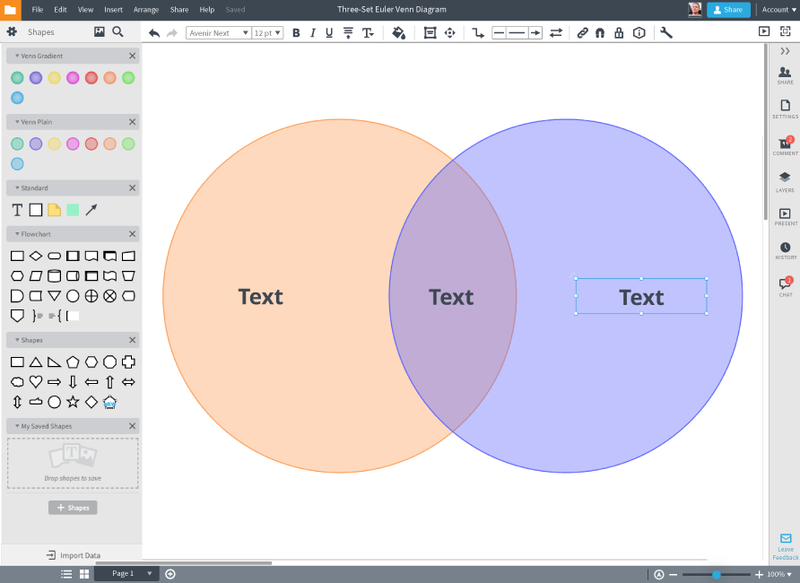 You can easily add text to your Venn diagram by dragging a text box from your standard shape library to your canvas. "This product easily outclasses Visio, Xmind, or any other app of its kind. Even with the free version, you get a better, simpler user experience, and as you use the product more frequently, you earn more features in the free version."